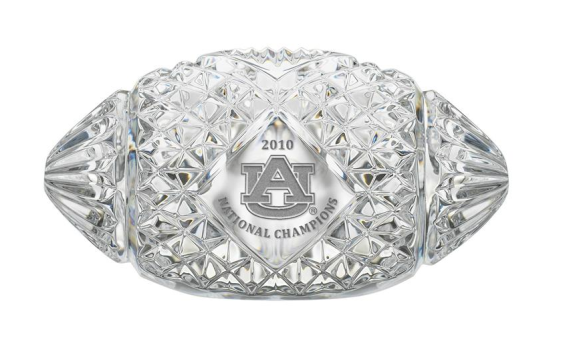 If you’ve forgiven Bama-owned Bromberg’s for insulting your fiance, mother, and grandmother, than let them help you get your dad what he always wanted for Father’s Day: a Waterford crystal football commemorating Auburn’s national championship. He’ll burp “War Eagle” even louder than grandma! UPDATE: We were told that Wares Jewelers in Auburn has them, too (keeping it in the family). But Mrs. Malzahn says they’ve run out. But still have crystal helmets or something. Nope. Haven’t forgiven them yet. forgive bromberg’s? someday…maybe. forget the arrogance? never. Waterford only made 2011 of these…Ware’s must be selling the ones left from their original order. Waterford’s own website has been sold out for months now. What was the insult by Bromberg’s? 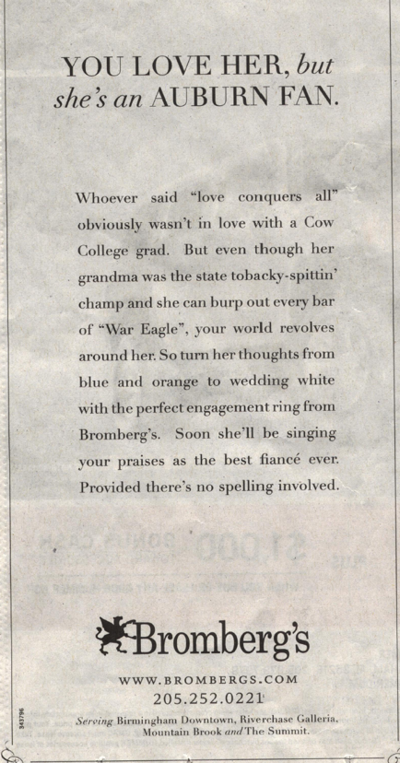 thewareaglereader, thank you for the response and subsequent posting – will never do business with Bromberg’s again. 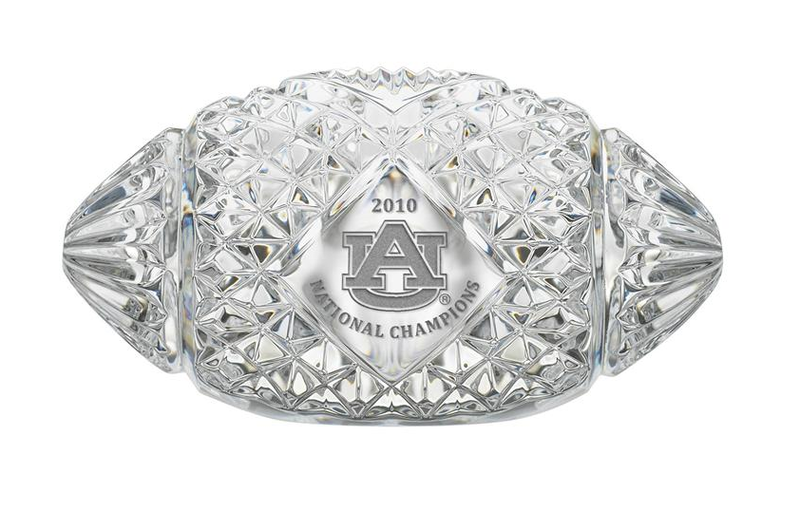 FYI – Bromberg’s competitor in Mountain Brook is Barton Clay Fine Jewelers……..they are good Auburn boys! !